Hollywood Knows Sandy Hook Is a Hoax. Speak Out Tinseltown! It is ok to be liberal, to support the poor, the elderly, the infirm. I support them too. But understand that gun rights are important in the United States. Support gun rights by exposing the Sandy Hook Hoax. Hollywood, you know bad acting when you see it. The Sandy Hook Hoaxers were bad actors. Admit it. We know you, Hollywood, are controlled by many powerful Zionist interests. Hollywood, it is hard for you to speak up about the evils of gun control, and the weakening of America that could come from gun control. Keep in mind, Hollywood, that the weakening of America by any means is a part of the Yinon Zionist plan. Israel Shahak, a Jewish hero, said that this Yinon aggression could result in a backlash against all Jews, innocent in their non support of militant Zionism. I wrote about this subject and about Shahak on Amazon in the ebook and audiobook entitled Anglo-American Empire, Regime Change and the Ambition of Israel. Disarming Americans, Hollywood, does not further peace. It jeopardizes freedom which will undo peace faster than any false flag! Many Zionists are hot for gun control and the disarming of America. Gun control was passed when many liberal heroes died by gunfire. Yet it appears that the government was involved in some level in those deaths. John Kennedy was likely assassinated by friends of LBJ, and we know his best friend, D Harold Bird, owned the Texas Book Depository where shots were fired upon JFK. We know Robert Kennedy was likely gunned down by government operatives, and bullets were found in the walls and ceiling of the Ambassador Hotel which was conveniently torn down. Now they want to tear down the Sandy Hook School. MLK was shot under suspicious circumstances, and it likely included government operatives in the working out of his murder. And then gun control became popular because the killing government could get its way because of grief over these deaths. Did Zionists kill the liberals, Hollywood? Search your soul, Hollywood! The Gun Control Act of 1968 was signed by LBJ, and was sponsored by a known Zionist, Emanuel Celler, who was of mixed heritage, with his maternal grandmother being Jewish. Celler was a known supporter of David Ben Gurion, the atheistic Zionist father of Israel, who advocated for a world court located in Israel. Hollywood, Israel can exist according to the United Nations charter, but not rule the USA through politicians who are more supportive of Israel than of our national interest here in the United States. when you are looking for freedom." Gun rights advocates are not looking for war. And in fact, another Zionist ploy is race war, division between young and old, etc. You just have to read Business Insider to see a lot of those views fomenting division that come from Wall Street, no doubt. No, gun rights are a buffer for peace. The Republican platform promises to do better. I don’t think they have done so bad. Everybody’s broke but them. So, Hollywood, it is time for you guys to be liberals for gun rights. Yes, there should be a movement in that direction, in the rememberance of the greatest American, Will Rogers. 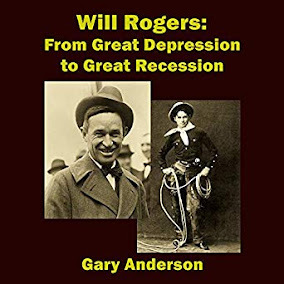 I wrote about Will Rogers some more in my ebook, Will Rogers From Great Depression to Great Recession on Amazon. I hope you would take the time to read it Hollywood, as he was one of yours, but unlike you, he was not afraid to speak the truth. My natural father was Jewish and I am adopted. But anyone who calls me anti Semitic when I am just against militant Zionism can endure that curse as far as I am concerned. I don't believe anyone died at Sandy Hook because of the cheerfulness of the actors, but it could have been set up differently. It is sickening to know that death in the past has been used to spawn gun control legislation and it could happen again. Since this incident, Obama has refused to push gun legislation. He has been tougher on Israel and working for peace with Iran. Has he turned a corner? Hard to say. 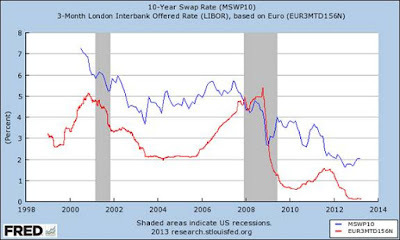 He is surrounded by sharks and for a time he was a shark, not allowing prosecution of the bankers for offering toxic loans and securitized bonds based on the loans. With NSA he may be doing Israel's bidding. And ammunition control is still up in the air. But he is not a rubber stamp for Netanyahu with regard to peace with Iran. But we need to understand that 9/11 Conspiracy was real. False flags and hoaxes are real. And the Republicans are still more evil than the Democrats although it is a close horse race. Oppose Zionism, at least militant Zionism that seeks regime change and the weakening of all nations in one way or another, in order to make Israel stronger. I do not support the idea of going back and making the USA a "Christian" nation, because that is not something taught in the bible. And it is shown that the most stable government is secular but protects all religious thought. So, Hollywood, please take the historical liberal position of Will Rogers and protect gun rights. That will make evil schemes less popular as time goes on. Teach America with your powerful voice that the national interest is more important than the interests of other nations. It has to be that way for peace! You Hollywood liberals could be supporting militant Zionism, out of ignorance. That is just sickening to allow that deception to take hold of your minds.